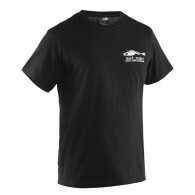 Grundéns T-shirt in Polyester 100% Cotton Ring Spun Jersey Modern Fit Crew Neck Size S-XXL ..
Made of a heavy duty cotton twill base, coated with HDX11 PVC designed to resist oils and maintain flexibility in extreme cold. Heavy Duty YKK Zip and Double Storm Flap with Velcro closure. The Brigg Jacket is made from a heavy cotton twill base material (4.7 oz. per yard), coa.. Sleeves with elastic wrist and top. 540 gr/m² PVC coated cotton Low teperature resistant Neoprene cuffs Adjustable top Size M .. 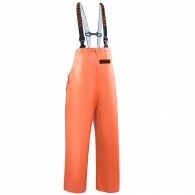 These Grundens bibs are designed to keep professionals dry and comfortable in the harshest conditions. Precision cut for a relaxed fit that provides freedom of movement on deck as well as allowing for layering underneath. 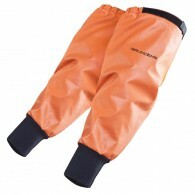 Constructed from heavy-duty PVC over cotton that combines 100% protection with.. 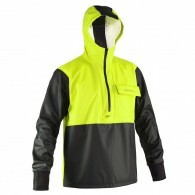 Tailored from medium-weight, polyurethane-coated polyester fabric, this Grundéns hooded pullover jacket moves and stretches with you as you work on deck. 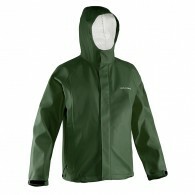 Yet it still delivers full protection against rain, wind and spray. An athletic cut and underarm gussets further enhance comfort and movement. 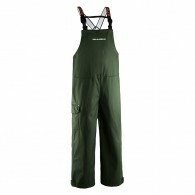 Thi..
Grundéns polyurethane coated polyester bib trousers give fisherman the lower-body protection they demand with the freedom and comfort to fish hard all day long. 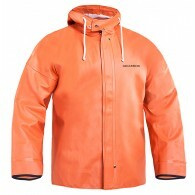 Specially tailored for an active fit, this medium-weight fabric stretches and moves with every on-deck task, while providing 100% waterproo..
Grundens Neptune Jacket comes in green and black With adjustable hood, hem and sleeve endings. Hidden closure with zipper, two large pockets with zipper and two large interior mesh pockets. 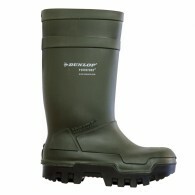 Weight 230 G/M2 Extremely tear resistant. 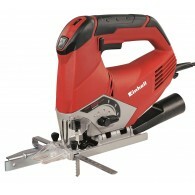 Low-temperature resistant. .. 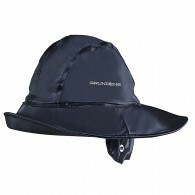 Extra wide brim, Neck protection and ear flaps Welded water ditch on the front brim leads water away Adjustable chin strap, Polyester flannel lined ..